I’m going to start from the New Testament in a very familiar passage of Scripture. This is Paul the Apostle, speaking to the church. He says, “I urge you. I plead with you. I exhort you brothers and sisters.” How many know that God has had new mercies on us every single morning? You can mess up the night before, but when you get up the next morning there’s brand new mercies for you! Paul says in view of God’s mercy—that’s what’s going to lead you. His mercies will propel you. Paul goes on to say that he wants us to offer our bodies. When the Apostle Paul speaks about our bodies, he’s not speaking about our physical body only. We read this and think automatically I have to join a ministry. He’s saying offer all of who you are. We must offer all of yourselves—our very being. He wants us to offer our physical body, our emotions, our heart, our mind—all of us as a living sacrifice that is, holy and pleasing. 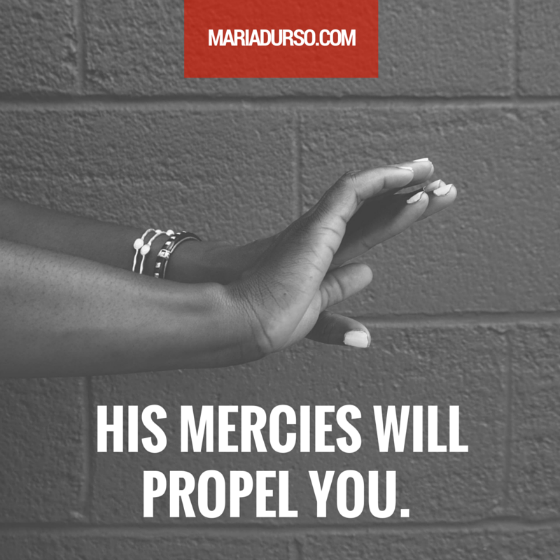 Question: What, other than God’s mercy, propels you?